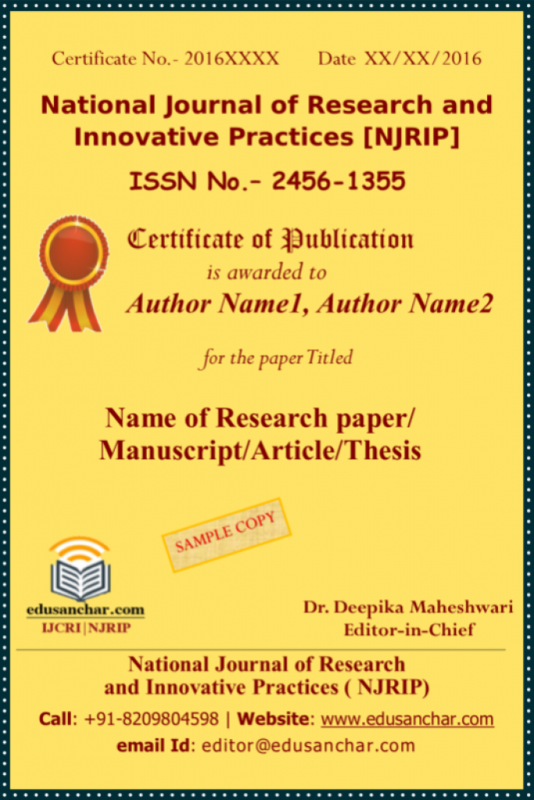 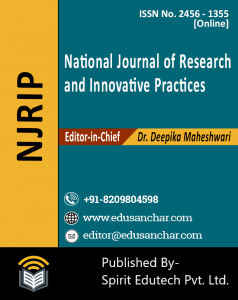 We are pleased to inform you that IJCRI/NJRIP invites you to contribute Research Paper for publication in our International and National Journals. 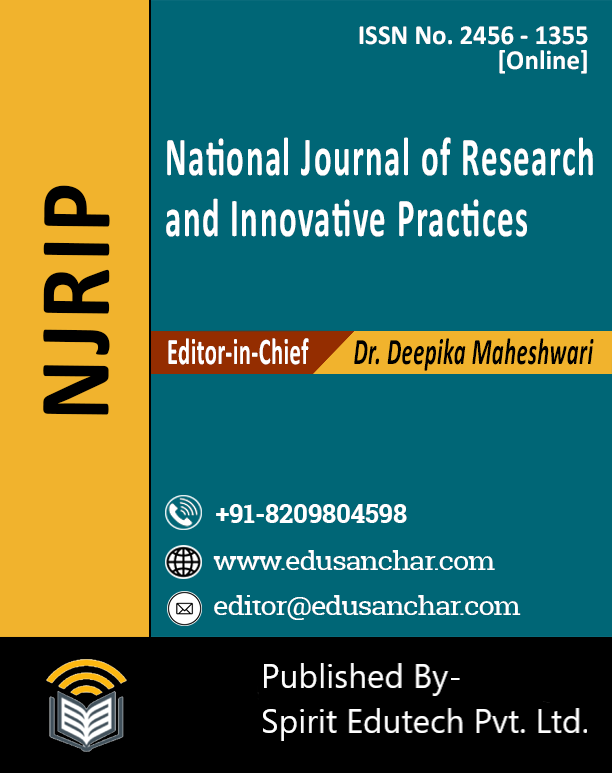 It covers all areas of Computer Science, Electronics Engineering, Information Technology, and all other streams of science for our International Journal. 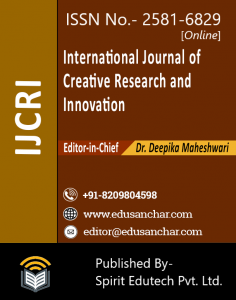 We publish original research articles, review articles and technical notes. 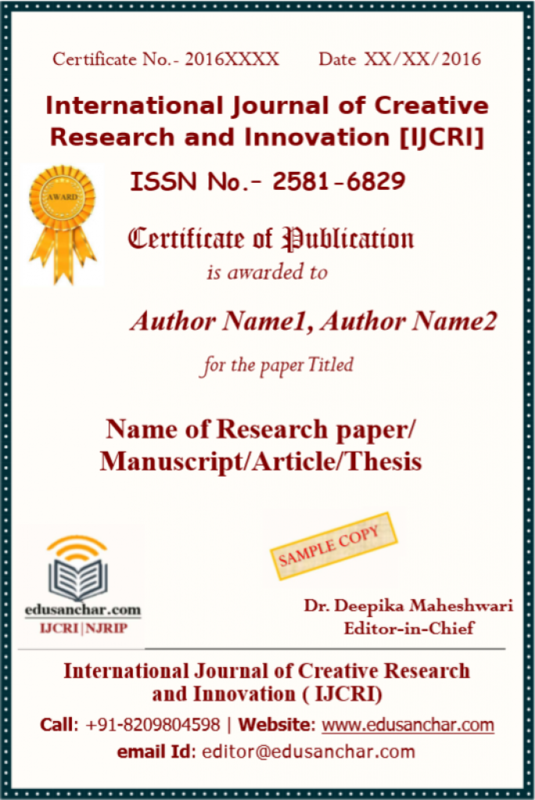 The journal reviews papers within one week of submission and publishes accepted articles on the internet immediately upon receiving the final versions. 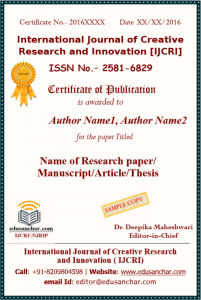 The articles should be in proper format as in sample Single Column format or Double Column Format. Authors are invited to submit the paper online or through E-mail at editor@edusanchar.com Submissions must be original and should not have been submitted or published previously anywhere else for publication. 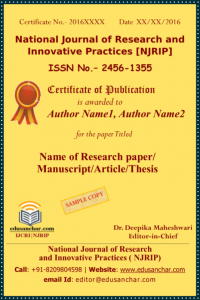 Note– Proposals are accepted on a continuous basis and there is no deadline for submission. 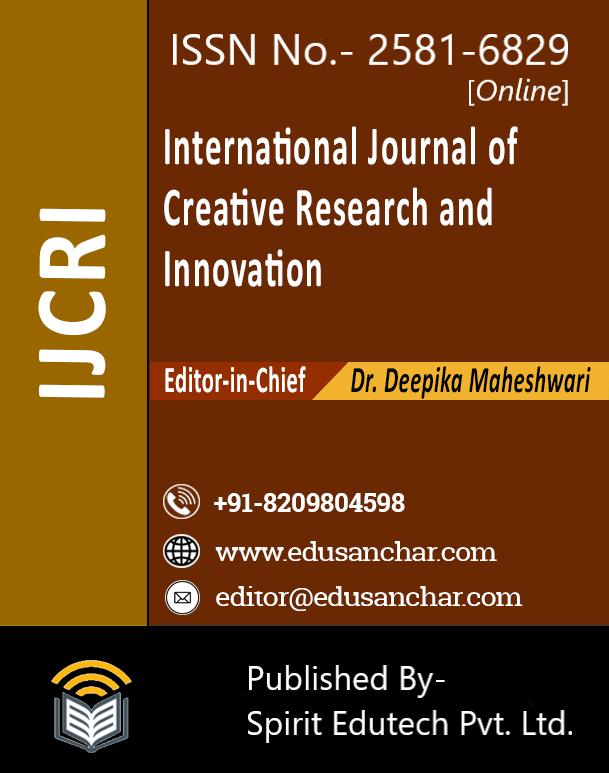 Submit Online-Kindly Fill All the Details for Reviewing Your Paper!